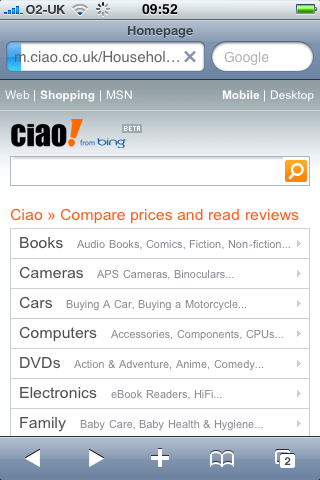 Shopping comparison and review site Ciao announced a new and improved mobile site last week, which aims to capitalise on the increased usage of smartphones. Ciao has experienced a 200% rise in mobile visitors over the last 15 months, so it makes sense to cater for this growing mobile audience. Most of the UK’s newspapers now have mobile versions of their websites, but many could provide a better range of content and user experience.